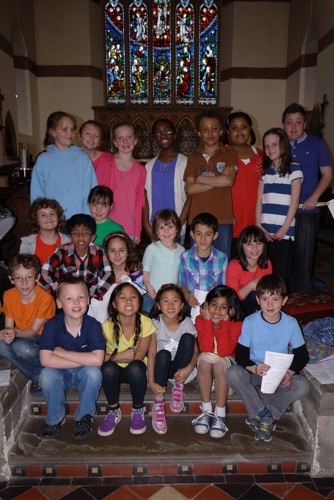 Junior Church is a chance for those under-12 to meet together, worship and learn about the Bible and Christian life. This is done through a variety of activities that include crafts, games, puzzles and story telling. Acorns: For pre-school children accompanied by a parent. The children sing simple songs and do activities and crafts. We proceed in church to the altar with the cross at the start of the 10.00am service on Sunday and children, parents of pre-school children and helpers follow over to the Parish hall after the initial welcome. Children, parents and helpers return to church in time for Communion. 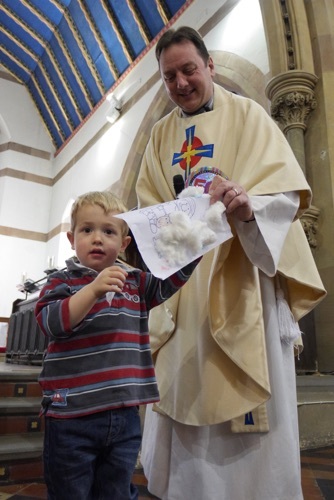 We encourage children to come forward for a blessing during Communion. This helps them to become familiar with the worship in church. Before the end of the service, the children have an opportunity to tell the congregation what they did that morning. Junior Church meets all through the year. During the school holidays, less structured activities take place which are open to all ages. Lots of fun is had by all the children. We hold a Nativity at Christmas time and a Christmas party. 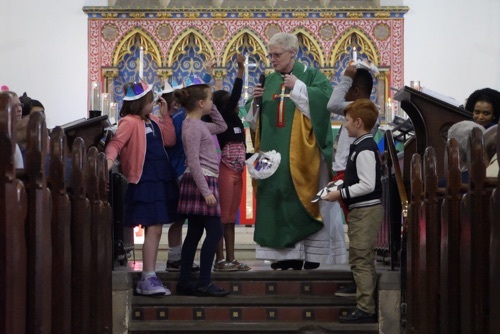 Children of this age are encouraged to help in the Church service as a server, in the choir, helping with the collection or giving out hymn books. They are also very welcome to help in Junior Church. If any of these activities appeal, please speak to one of the church wardens or the clergy.